This will prevent Epic Reads from sending you messages, friend request or from viewing your profile. They will not be notified. Comments on discussion boards from them will be hidden by default. 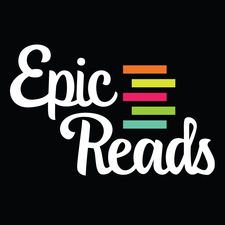 Sign in to Goodreads to learn more about Epic Reads. We’d love your help. Let us know what’s wrong with this preview of Everless by Sara Holland. We’d love your help. Let us know what’s wrong with this preview of Where I Live by Brenda Rufener. We’d love your help. Let us know what’s wrong with this preview of The Midnights by Sarah Nicole Smetana. We’d love your help. Let us know what’s wrong with this preview of The Tombs by Deborah Schaumberg. This is a group for people everywhere that love YA books and are looking for a place to be a who they truly are... A BOOK NERD!! Take a look at Epic Reads’s Year in Books. The good, the bad, the long, the short—it’s all here.